Investment opportunity one block to the beach. Three units in two beach cottages. Block construction. Front building has a two bedroom, one bath unit and a one bed, one bath. Back cottage has two bedrooms and one bath. Tile floors in all units, new roofs in 2018. Newly painted ! Rented long term, has great potential for more income on annual rents, vacation type rental or redevelopment. 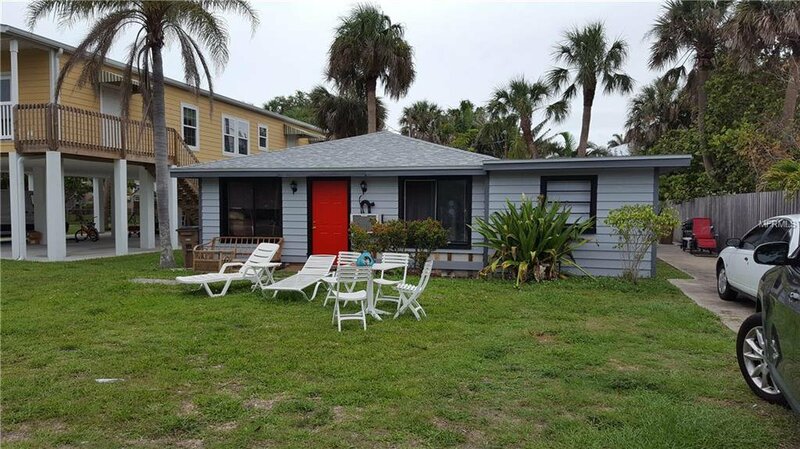 IRB is an amazing beach community , offering beach access every block, art center, library, softball fields, skateboard park ,tennis, playgrounds, nature park with dog park, and a city boat ramp and docks.Walk to restaurants, bars and ice cream shops. Laid back Florida lifestyle in this small beach town. Listing courtesy of GULF TO BAY REAL ESTATE. Selling Office: RE/MAX METRO.